Sixteen (16) tourism businesses from Northern Ireland and the island of Ireland joined Tourism Ireland at the Classic Motor Show over the weekend. The Classic Motor Show is an annual event which takes place over three days at the NEC in Birmingham. 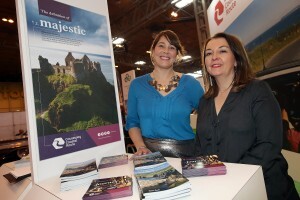 It attracts around 65,000 people, offering an excellent platform to spread the world about car touring holidays around the island of Ireland among car enthusiasts – and prospective holidaymakers for Northern Ireland and the island of Ireland – in Great Britain.